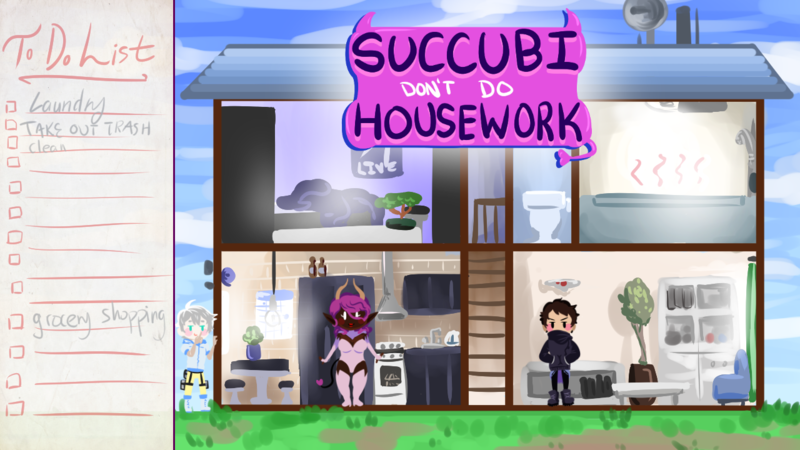 Succubi Don't Do Housework is a visual novel originally intended for NanoReno 2017! 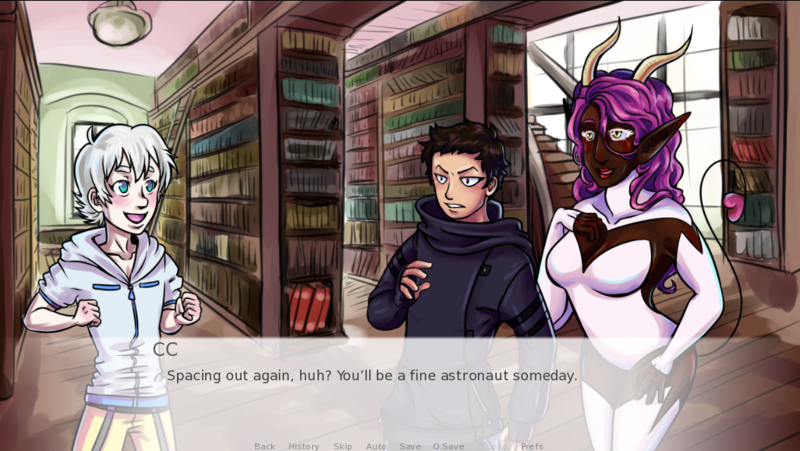 Follow the grumpy programmer Reien, who after years and years of searching, has finally found her lover from her past life. 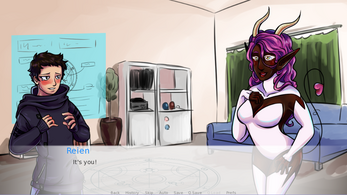 It's too bad that said lover just so happens to be a succubus with no memories the past though! 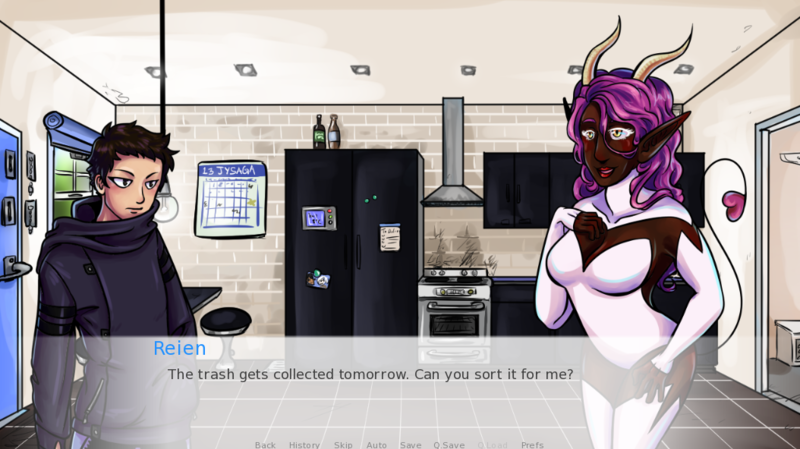 Help her remember (or don't!) in this short romantic comedy featuring four different endings! The soundtrack all came from the amazing folks making free music over on soundcloud! Listen to all the songs here! This is my first game, but if you're interested in seeing more of my stuff, maybe check out my art blog or consider hitting me up on Patreon! Thanks so much for checking out SDDHW!